I was sad when I read the news that the Museo del Ghisallo is closing this winter, and that the prospects of it reopening next spring are uncertain. I fondly remember my visit in January 2007 to Magreglio, where the museum is located. We were on a month-long work road trip in southern Europe to photograph the bicycles for our book The Competition Bicycle. I had contacted collectors and museums, done research and finally selected the locations where we would shoot the bikes. It was an adventure, since we never knew what we would find. As our rental van drove up the switchbacked roads from Lake Como, the landscape become more mountainous. Snow covered the peaks around us, and the roads got smaller and smaller. We finally reached the village, asked for directions, and found our bed & breakfast. The next morning, we headed to the ancient chapel dedicated to bicycle racing, and found the brand-new museum next door. The sun had come out and flooded the modern building with light. Before we could even inspect the bikes, we were distracted by the breathtaking view down to Lake Como. The entire valley side of the museum consisted of glass, opening to a mountain panorama that could have been in a picture book. Then there were the bikes, sparingly placed in the open spaces. About 30 of them, almost all historic machines that belonged to great champions. Fausto Coppi’s Bianchi from the 1949 Tour de France (which he won). Francesco Moser’s hour record machine. Eddy Merckx’ 1974 bike on which he won the Tour, the Giro and the World Championships. In a corner, we discovered Tony Rominger’s hour record bike. There was a bike that Alfonsina Strada, the woman who raced in the 1924 Giro d’Italia, rode during the 1930s. A beautiful Colnago that had been built for Guiseppe Saronni. And the list goes on. Most of the bikes had been donated by the racers to the chapel at a time when they were not worth much. This direct provenance was especially important for our project of photographing the actual bikes on which racers had competed. Too many times, we had traveled far and set up our studio, only to find out upon closer inspection that the bikes were look-alikes or even forgeries. Even at the Museo and the chapel, a few bikes were mislabeled. For example, Gino Bartali’s bike (above) was exhibited as the one he used to win the 1948 Tour de France. Careful research showed that he actually rode it in the 1949 Tour, when he placed second. Eowyn Ceruti, who managed the museum, led us downstairs, where we set up our photo studio in one of the spacious meeting rooms. Then she let us have a free reign of the museum. Any bike I wanted, I simply carried downstairs. Often, I had to adjust the saddle and other parts, so it looked like it did when it was raced by its famous rider. I spent hours in the library of the museum to research details like the saddle height and the original equipment of the bikes. Then we spent 2-3 hours photographing each bike. Eowyn introduced me to the priest of the chapel, who lent us some of “his” bikes, including Gino Bartali’s machine from the 1949 Tour de France. Seeing the old priest climbing up a rickety ladder to retrieve the bike from under the ceiling of the chapel had both Eowyn and me hold our breaths. The Museo was the brainchild of the great racer Fiorenzo Magni, who also seems to have helped finance it with the profits from his chain of Opel car dealerships. Magni died a year ago, and in today’s Europe, funding for culture and arts is harder to find. That appears to be the reason why the museum’s future now is in doubt. My visit to Magreglio was one of the highlights of this amazing, exhausting and stimulating project. I have fond memories of the wonderful museum and its helpful, friendly staff. Let’s hope that the Museo opens again next spring. It is definitely worth a visit. In the mean time, I am looking through the pages of The Competition Bicycle and admiring the bikes. For me, each of them not only tells the story of its racer, but also brings back memories from a great trip. What a marvelous space! I sure hope it can be rescued. Double the ticket prices and hold your breath, I suppose. And that chapel might have an unusual affect on cyclist worshippers. So… Were any new-era bikes on display? That is, bikes used by any recent winners? I am starting to appreciate the function (and also the look of a few) of today’s style of bike, which seems necessary to use to win at most levels of any kind of race. PS: Whups, the chapel photo shows vintage bikes, but the museum pic shows some unusual aero wheels, so it looks like post-’90s are represented. There were bikes from all eras on display, although with a focus on 20th century machines. Moser’s hour record bike, of course, started the disc wheel trend. Rominger’s hour record bike had the most amazing lenticular wheels. We visited in 2007, and the exhibits rotate, so I am sure that there now are (or were) more recent machines on display. You always bring such interesting things to my eyes. I would make a contribution if a fund was set up here in the U.S., or perhaps there already is a fund to contribute to in Europe. The contribution is really just about “going the last mile” and knowing where to make it and how to easily do it. Tough times in the world when a beautiful museum has to close for lack of funds. Meanwhile, I’m a little in the dark about “Gino Bartali’s machine from the 1949 Tour de France”. I would love it if you would expand your comments. You seem to say the Museo has one (mislabeled from 1948). Then you say the the priest took down his exhibit of Bartali’s bike from 1949. So Bartali rode two different bikes in 1949? Not unusual I suppose. Could you expand on the unusual drive train for the Bartali? The chain tensioner is surprizing to me, and how are the rear cogs shifted anyway? And a quick release seems to be attached to the rear wheel, unusually on the drive side? Anyway, thanks, and if you set up an account, I will contribute. The bikes in the museum seem to belong mostly to the chapel’s collection, so they move back and forth a bit, it seems. There is one Bartali bike, labeled as the Tour-winning bike, but it’s from 1949. The derailleur is a Cervino. There are two shifter paddles under the chainstay that move the chain on the freewheel. Many 1930s racing derailleurs had a separate chain tensioner, which kept the chain running straighter. Bending the chain was considered a major source of resistance. You can read more about this in The Competition Bicycle, as well as in Bicycle Quarterly Vol. 4 No. 3 (“Changing Trends: Making Sense of Racing Bicycles from the Past”). In the 1940s and early 1950s, most racers put the quick release lever on the right side. With Campagnolo’s Cambio Corsa, it always was on the right, so that perhaps set a precedent? Thank you Jan for making me aware of such places, such history. Nice post – thanks Jan! For those in the east (or Snowbirds on their way to Florida via I-75) be sure to check out the Bicycle Museum of America in New Bremen, Ohio. It makes me appreciate the work that you put in to assemble “The Competition Bicycle” even more. Race bikes are almost always treated as disposable goods by their owners whether it’s teams or riders–it’s a significant thing that the collection in the Ghisallo museum was assembled at all. Eddy’s bikes are all my size, too! Jan, as passengers on your tireless “Journey of Discovery,” we, too, are rediscovering the zenith of bicycle artisanry as the story unfolds, piece by piece, with each issue of BQ. Thanks for sharing the titillating data you’ve gathered on frame geometries, materials, and components of the constructeurs. -But I must have more! If you, or your readers, have access to physical dimensions of the owners of the bikes custom-designed for them by their respective constructeurs, I’d love to see that data compiled. It could represent a big leap toward fitting present-day riders in the tradition of “Golden Age.” I think a fitting start would be with “Le Grand Roger,” Roger Baumann, on the tall end, and Lily Herse representing the petite randonneur. They look so spot-on in their photos. 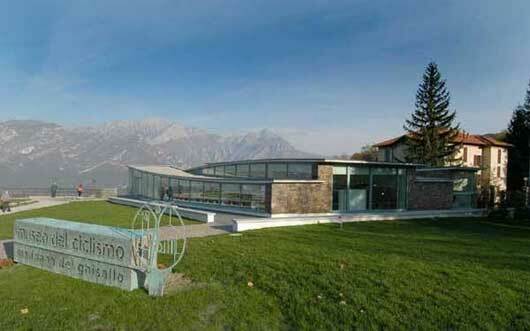 How tragic it would be if the Museo del Ghisallo were to close! 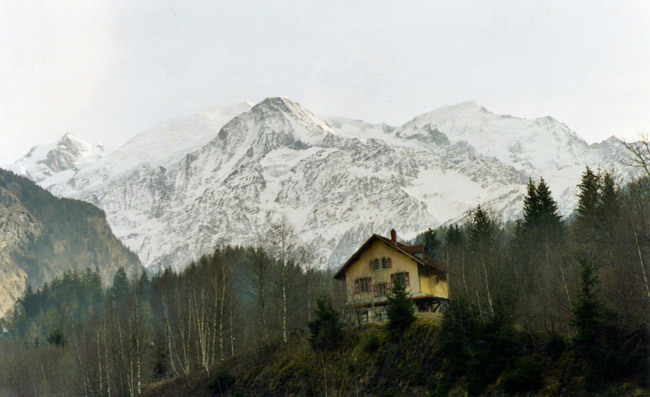 I’ve long come across mention of the Ghisallo Chapel, albeit in bits and pieces, but always felt what a unique and wonderfully magic place it must be. Just knowing such a place existed and I could see the occasional photo of it made the world of bicycles that much more special. I doubt I will ever get to see it in person, but I feel a little bit better knowing there are people working to help it to survive. Ernesto Colnago has a great idea about organizing events connected with the Ghisallo to help keep it afloat. Something like “The Ghisallo Grand Fondo” comes to mind. I hesitate to say this because of all the problems they’re currently having, but I feel the UCI should also get involved. 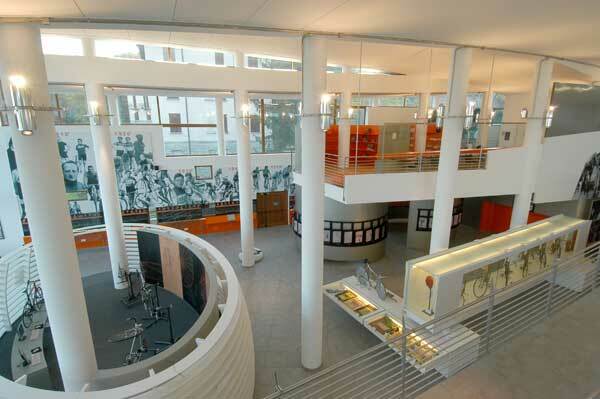 After all, the Museo del Ghisallo is a virtual history of professional bike racing with great sentimental value to professionals and fans alike. Mr. Cookson presently has his hands full cleaning up the UCI, but so far he seems like a person who really does have the interests of cycling at his core. And manufacturer’s of all things bicycling related can also step up to help keep this precious piece of history alive. It’s not just a grand part of cycling history, it incorporates many parts of human history along with it. Jan, you live a dream come true life. 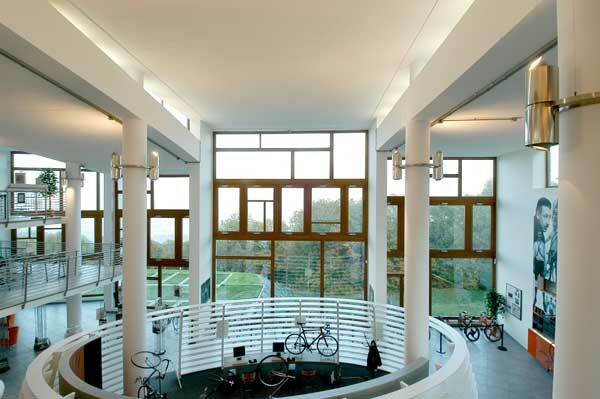 To think that you were able to stay at the Ghisallo for 3 days and have access to any bike you wanted, as well as the museum library simply makes me tingle! As usual, a big thank you for sharing the wonderful personalized stories of all that you’re doing and have done to preserve the rich history of bicycles. Please keep them coming as many of us can only live them through your stories. I’m a bit confused though. Are the Chapel and Museo together or separate entities? Yes, those are special moments. They make up for the long hours, the poor pay, the stress of organizing photographer, assistant, studio, rental van, accommodations, food… When I hold the finished book in my hands, it’s all worth it. Are the Chapel and Museo together or separate entities? Jan, let’s hope that the museum re-opens in the spring. I enjoyed your article greatly. I visited the chapel and the museum several years ago before riding the 1001 miglia italia randonee. My first day I rode the mythic climb up to Madonna del Ghisallo in my randonneurs jersey with a fast, fit and friendly Italian racer who asked a ton of questions about randonneuring, and visited the chapel. I returned the next day with my family to revisit the chapel and see the museum. An elderly gentleman (the curator?) 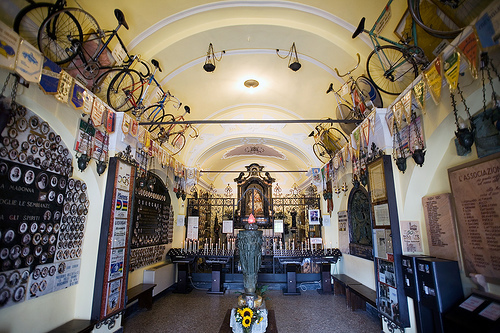 gave me a personalized tour in Italian of the memorabilia in the chapel, including the Bartali and Casartelli bikes, and I recall that Cadel Evans’ world champs’ jersey was at the altar. We then we were wowed by the collection in the museum next door. I know of no place like the museum (or the chapel), and hope that many others will continue to have the opportunity to visit. I still have my Madonna del Ghisallo medal for good luck. Thanks again. I too was saddened to hear the Museo would be temporarily (we hope) closing as one who visited Ghisallo for the first time in the early 90’s, long before Magni’s Museo dream would be realized. At one time there was a way to donate towards the construction costs (which we did) and we’ve also made donations in-person each year during our visits at the end of our Legendary Climbs tour. It’s been a fragile project financially from the start, but Magni’s persistence paid off. Gino Bartali’s museum down in Tuscany fell on some hard times too and our other favorite, Museo di Campionissimi in Novi Ligure (home of Fausto Coppi once he moved down from Castellania) has also suffered, the latter being open only on weekends, holidays or by advance notice. Italy and Italians won’t let their passion and heritage die, we’re optimistic funding will be found to keep Ghisallo open and if we find a way for fans to donate via the ‘net, we’ll post something on the CycleItalia blog. Regarding this – we have a brand new, tough-to-find Ghisallo bike medal, the one you bend to fit around your frame tubes and secure with the little screw (included) here, perhaps someone can come up with an idea of how we might auction this thing off and donate the funds to the museum? This forum is probably the best way to reach those who would appreciate this effort? Jan, I visited this museum in April of 2012. We were staying in Lake Como and I called the Chisallo Wooden Bike Rim company to ask for a personal tour of their factory which included a trip to the chapel and museum. What a great experience! We got to see how wood rims were made using their specialized machinery, and I was able to test ride their “cruiser” styled wood bike. Afterwards, we toured the chapel and museum which was about a kilometer away. If any of your readers have a chance to visit the Lake Como region, I suggest calling or emailing the Chisallo Rim company to set up a personal tour. This was the highlight of our Italy trip. My Madonna del Ghisallo medal is attached to my favorite bike. Any suggestions on how to ensure the museum reopens? Any suggestions on how to ensure the museum reopens? Unfortunately, I think that is out of our hands. Funding the museum requires more than we can raise, unfortunately. That is why there are so few museums like that in the U.S., where there is less public funding for culture and the arts. What, if any, is the etiquette or the standard about tires on donated historic bikes? On the Bartali, the tires are preserved, and allowed to go flat, I guess. Are the tires ever removed? It just seems a little sad to me, these great racers, or other bikes, and their tires just go flat. That’s Life, I guess. The next step is spray-painting them white for fallen bicyclists. These bicycles would never be over-painted, but the tires thing is a nostalgic / sad thing in my mind. It’s always a trade-off whether you want to display a bike with its original tires, or with new tires that hold air. If the bike isn’t going to be ridden, I prefer original tires, even if they are flat. If it is ridden, then original tires that hold air are the best choice, if you can find them. Otherwise, similar tires, especially if they match the patina of the bike, are a good choice.